New version of legendary Cruiser is out now. Aeros Cruiser v.2 was holding good position in high-performance freeride/freerace for 2 years. 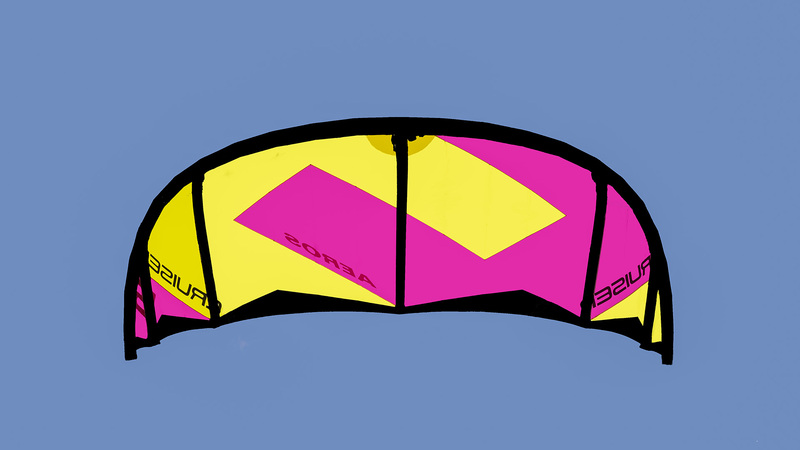 R&D crew spent this time to develop comfort characteristics of this kite, but not to loose that speed and upwind abilities. More comfort for high-performance freeride and hangtime jumps. Double TechnoFibre ripstop and Demention Poliant Dacron are one of the best fabrics on the market! No pulleys - direct steering.